Former UFC middleweight champion Chris Weidman will return to the octagon at tonight’s UFC 230 event in New York for a fight with former Strikeforce title holder Ronaldo Souza. 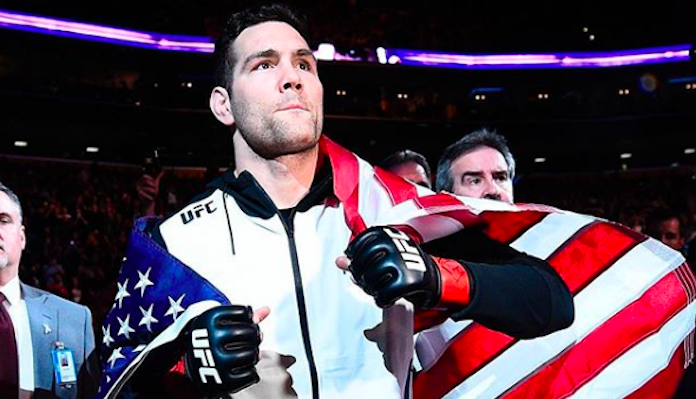 If he can score an impressive victory over “Jacare” this evening at Madison Square Garden , Chris Weidman believes that his next fight would surely have to be for the promotions middleweight title. Chris Weidman discussed the newly announced UFC 234: Gastelum vs. Whittaker headliner in a recent interview with MMAWeeekly . Weidman believes that he is bound to have a rematch with Kelvin Gastelum, this time with the UFC middleweight title hanging in the balance. Do you think Chris Weidman will be able to defeat Ronaldo Souza tonight in New York?